These days, it seems like not one week goes by without yet another study that reveals that we’re all unsafe drivers. The most recent confirmation of our unsafe driving behaviors comes from the AAA Foundation for Traffic Safety, who claims that approximately 87% of drivers committed one unsafe act while behind the wheel in the past 30 days. 70% report talking on a phone in the past month. 31% stated they do this regularly. 42% have read a text message or email while driving – and 32% actually typed or sent messages. 12% and 8%, respectively, report that this is a regular occurrence. This isn’t exactly a huge surprise, but it is certainly a huge concern, given that in this same study, more than 80% of drivers claimed that distracted driving was a bigger problem now than three years ago. If this is such a huge problem, why isn’t anything being done to remedy it? 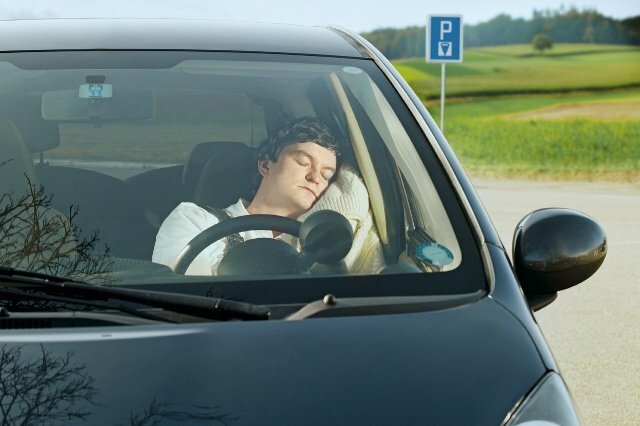 As we’ve fought against driving while under the influence of alcohol or drugs, a new driver safety foe has crept up on us – driving while tired or drowsy. 32% of drivers have reported that they’ve driven in the past month while struggling to keep their eyes open – and 22% admitted that they did this more than once in the past 20 days. We’ve harped on this again and again: driving while tired can be just as unsafe as drunk driving. According to the AAA, drowsy driving is a factor in approximately 328,000 crashes annually – with 6,400 of those being fatal crashes. That’s not to downplay the seriousness of impaired driving either; the NHTSA estimates that there are almost 10,000 deaths annually from crashes involving drivers over the legal alcohol limit. And yet, even with this data, 13% of drivers reported driving when near or over the legal limit in the past year – 9% report doing this more than once. At this point, these unsafe driving behaviors seem to be firmly ingrained in our current driving culture – and in order to fix them, we must think about altering the culture slowly and surely, with a long-term focus in mind.